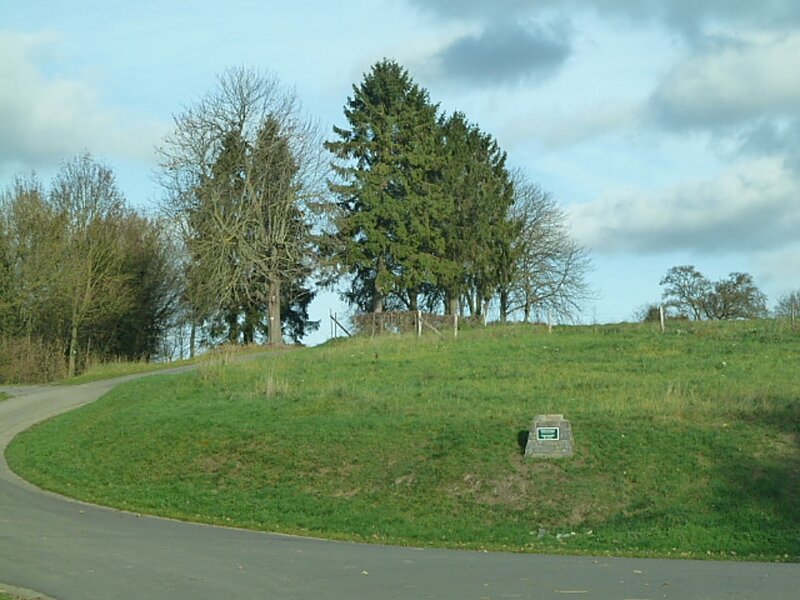 Froidlieu is a small village administered by the commune of Sohier, in the province of Luxembourg. It lies 27 kilometers south-south-east of Dinant, and 500 meters north of the Dinant-Beauraing road. 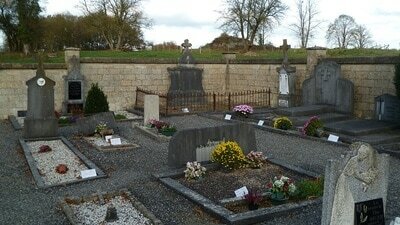 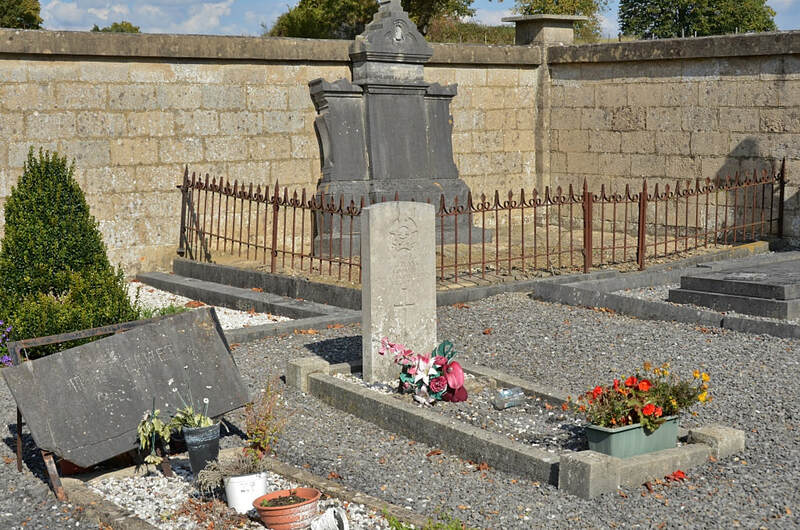 This very small cemetery is 182 meters north-east of the church. From the church travel north east on Rue Alphonse Detal and just as you leave the village there is a narrow lane to the left. 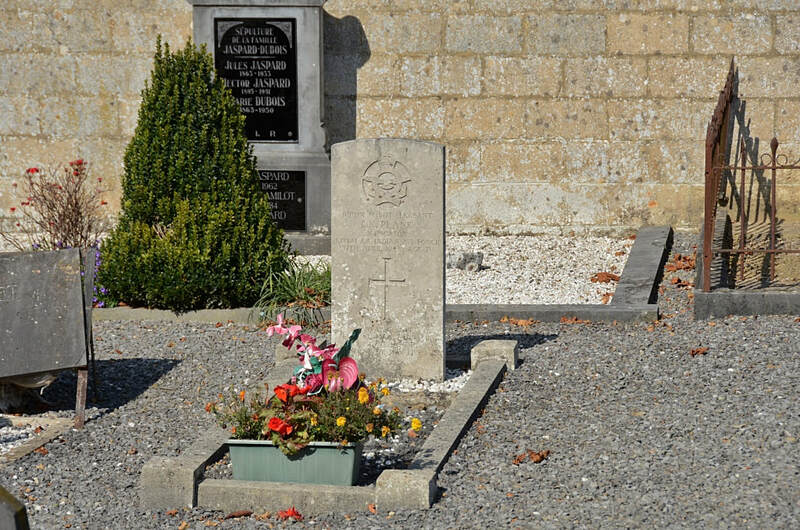 At the junction the Commission’s War Graves sign can be seen. Turn left (into what appears to be a private drive) then immediately right and you are on the lane to the cemetery which is 100m from the junction. 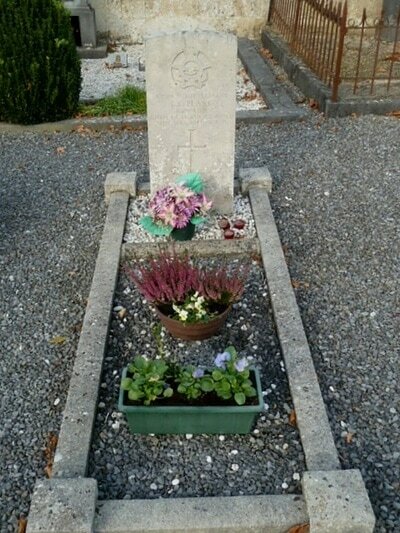 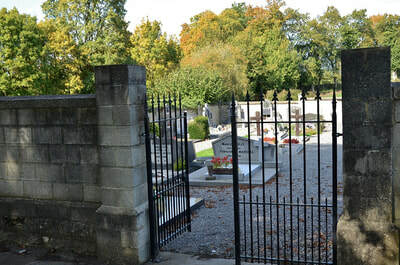 Sohier Communal Cemetery contains the grave of one airman of the Second World War. 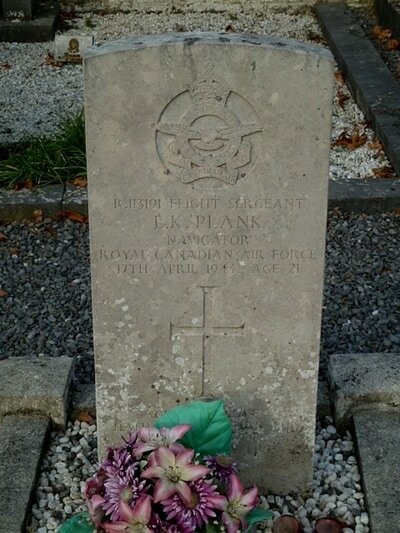 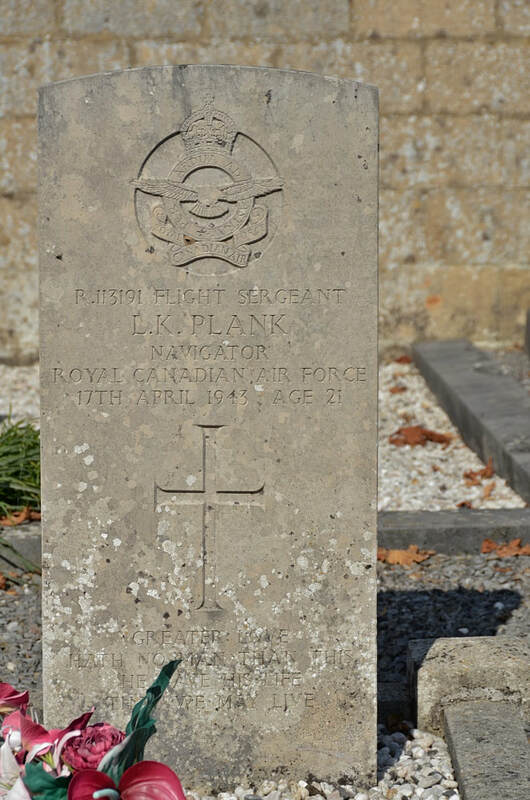 R/113191 Flight Sergeant Lester Kenneth Plank, D. C. M. Navigator in 420 Squadron, Royal Canadian Air Force, died 17th april 1943, aged 21. Son of Fred W. and Mabelle Edna Plank, of Bluffton, Alberta, Canada.